Havana, Nov 9 (IANS) The Cuban government has said that US restrictions on travel and business with Havana represent a serious setback to bilateral relations. 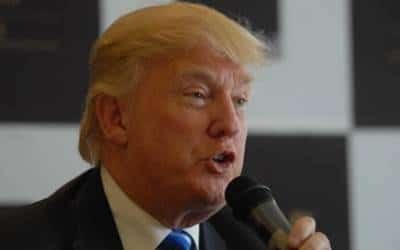 The measures, which will take effect on Thursday, enact the memorandum signed in June by US President Donald Trump, in which he expressed his intention to reverse his predecessor Barack Obama’s detente with Cuba, reports Efe news. The director for the US Division at Cuba’s Ministry of Foreign Affairs, Josefina Vidal, said in a statement on Wednesday that the new regulations would hurt both Cuba’s economy and US business interests. "Has it worked in 55 years? It’s the old line: ‘We sanctioned Cuba, we put pressure on its government to bring about changes’. It does not work. It has never worked. The measures follow the expulsion of 15 Cuban diplomats from the US in October after 22 of its own embassy officials in Havana fell ill after mysterious sonic attacks. Trump said last month that he believed that the Cuban government was behind the attacks. The US State Department has not blamed the Cuban government, saying that it did not know who was responsible for the attacks, which the FBI is investigating. Washington, however, has accused Havana of failing to protect US diplomatic personnel working on Cuban territory.